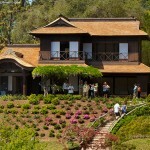 The restoration of The Huntington Japanese House and Gardens recently won a 2013 California Preservation Award. This project preserves a unique cultural landscape, including the internationally renowned conservation of the Japanese House and restoration of one of the oldest-surviving Japanese Gardens in the United States. 3-coat lime plaster on metal lath was used for the restoration. Lime paint was also used extensively throughout the project. View more information from the architectural firm, Kelly Sutherlin McLeod Architecture, Inc. 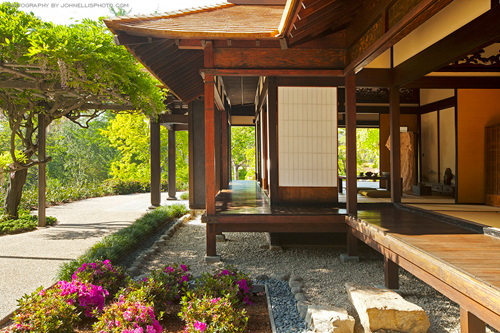 The Centenary Restoration of The Huntington Japanese House and Gardens preserves a unique cultural landscape, including the internationally renowned conservation of the Japanese House and restoration of one of the oldest-surviving Japanese Gardens in the United States. 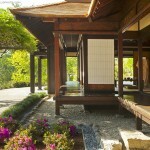 Images: Kelly Sutherlin McLeod Architecture, Inc.